Now, after the launch of the new Apple MacBook Air, Xiaomi has launched its own Notebook Air in two variants. Xiaomi Mi Notebook Air is available in 13.3 inches and 15.6 inch display sizes and will have Intel's 8th Generation Core i3 processor. New Xiaomi notebooks run on Windows 10 Home Edition and up to 8 GB RAM 128 GB GB SSD and Fast charging is available through USB Type C.
The Mi Notebook Air 13.3-inch model's 8 GB RAM variant is priced at 3,999 Chinese yuan (around Rs 41,913) and its sale will start from November 11. The 15.6-inch model has 4 GB RAM and 128 GB of storage. Its price is 3,399 Chinese yuan (around 35,624 rupees) and it is available for sale in China. The Mi Notebook Air 13.3-inch model has full HD (1080x1920 pixels) display, whose viewing angle is 170 degrees. Notebook has 80.1 percent screen-to-body ratio. It has the 8th generation Intel Core i3-8130 U processor and UHD graphics 620. It has 8 GB DDR4 RAM and 128 GB SSD storage. Notebook has 1 megapixel HD camera for video conferencing and has a full size backlit keyboard. Touchpad is made of glass and it is multi-finger gestures. Notebook Air has a 40 Watt battery. 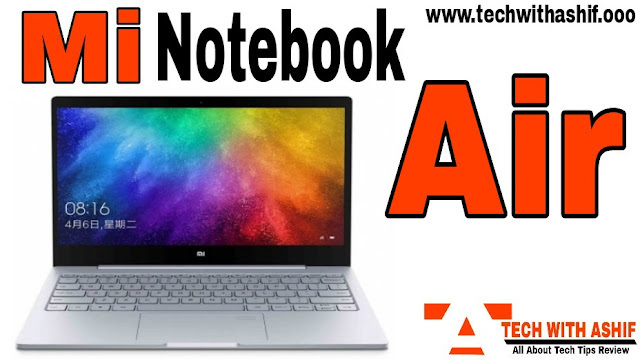 For connectivity mi notebooks have been given features like Bluetooth 4.1, Dual-Band Wi-Fi 802.11 AC and fingerprint sensor. This device contains USB Type-C port, 2 USB 3.0 ports, HDMI port and 3.5mm headphone jack. The weight of the notebook is around 1.3 kilogram and it runs on Windows 10 Home Edition. The Mi Notebook Air 15.6 inch model has full HD (1080x1920 pixels) display. It has 8th Generation Intel Core i3 processor which comes with Dual Fan Cooling. It has 4 GB RAM and 128 GB SSD storage. For connectivity, there are features like USB 2.0, HDMI port, 2 USB 3.0 port, Gigabit Ethernet port, 3-in-1 card reader and 3.5mm headphone jack.